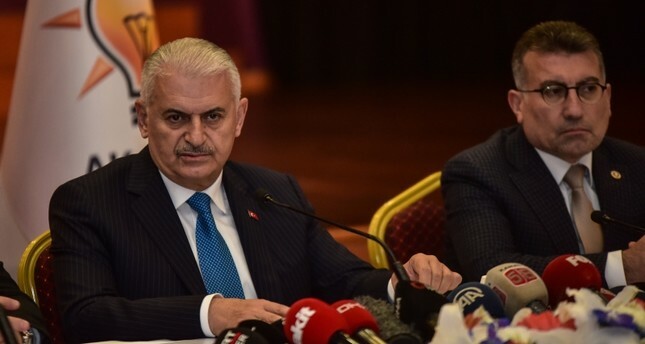 The ruling Justice and Development Party (AK Party) Istanbul mayoral candidate Binali Yıldırım said Monday that he would have come out on top if all votes in the March 31 election had been recounted. "The difference in votes between me and Ekrem Imamoğlu has fallen to nearly 12,200 although only 10% of all votes were recounted," he said, noting a reduction from an original margin of 28,000 votes, as announced by the Supreme Election Council (YSK). "We are confident that this gap would have closed in our favor if all votes were recounted," he said. Yıldırım said it is "very clear" that fraud occured at the ballot boxes, with votes for AK Party registered for the main opposition Republican People Party (CHP) candidate Imamoğlu. "That's why the gap is constantly closing in our favor," he said. Yıldırım said that Istanbul, Turkey's largest city, should not be run by a mayor who came to power through rigged elections. He reiterated the need to wait patiently for YSK to declare the winner of Istanbul's mayoral race.